A Fun Unit will provide Pre-K and Kindergarten students with hours of common core based curriculum as well as hours of colorful fun. 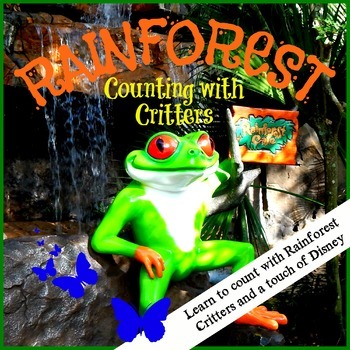 Students will experience pictures, videos, songs, books, printable math, literacy, and art activities, food, and games to further explore the mystery of the Rainforest. 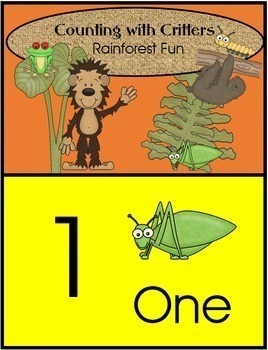 This unit contains several printable counting books (1-5) in color, black and white, and Spanish. 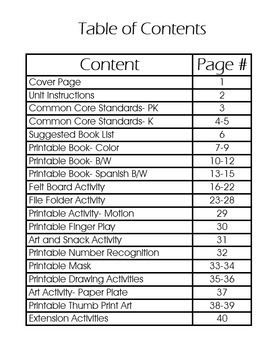 A felt board activity and file folder game are also included. 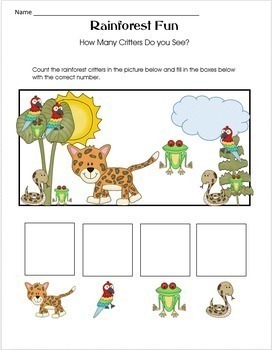 Bring the Rainforest into the classroom with pages of interactive printables and activities.